Alex Pajic is a self-made success story who has learned the secrets of European style cooking from his deep family roots and traditions. Alex had no idea that at an early age, his love for cooking would be so instilled in him that he would be inspired years later to start his own catering business. 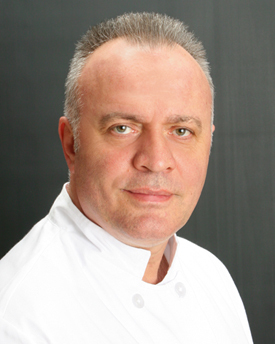 Born in Europe, Alex Pajic is no stranger to zesty and flavorful ethnic cuisine. Because of his rich family heritage and traditions, Alex’s cooking skills have been finely honed throughout the years. Alex’s passion for phenomenal taste and quality has brought him to create a catering enterprise that he loves. "Cooking is not just a business…it is a way of life for me," Pajic proudly states. After a long successful career in the family restaurant and catering business, Alex has created "Europig" which features the roasting of specialty meats along with delicious side dishes. Alex is truly a Culinary Master when it comes to rotisserie meats. His Europeen flair is definitely evident in his trademark cooking style. Notwithstanding, Alex’s European roasting style and technique creates a friendly and fun atmosphere for any event, big or small. Alex invites everyone to experience his delicious one of a kind mouthwatering European style grilling techniques which features specialty meats including pig, goat and lamb.